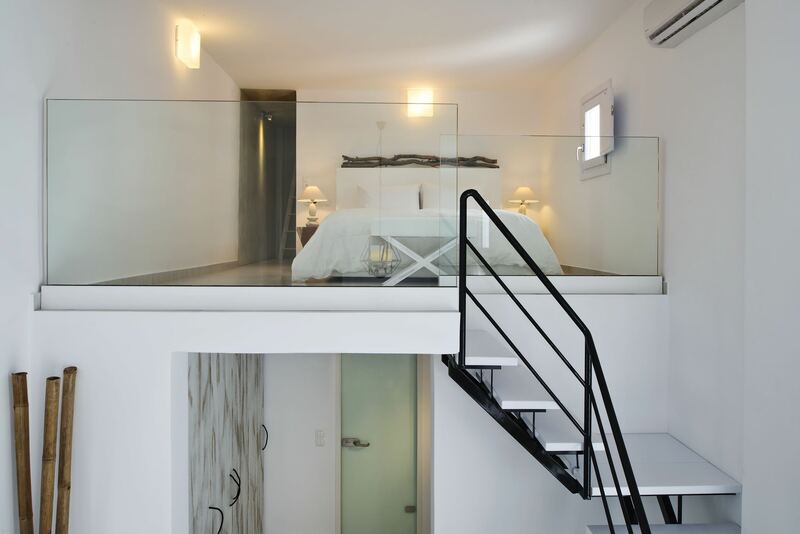 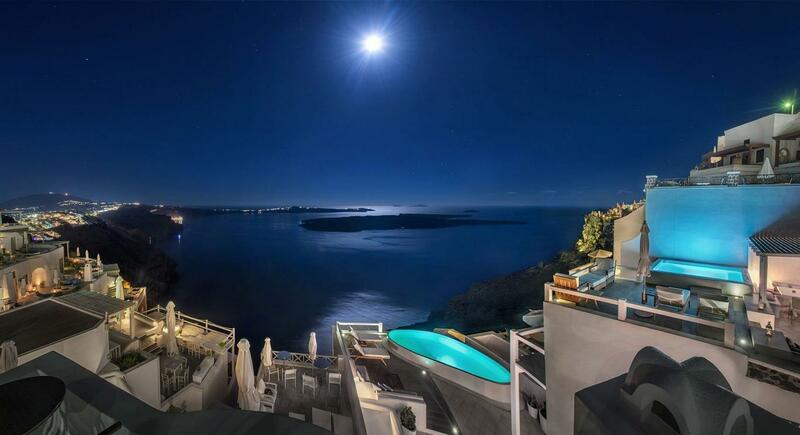 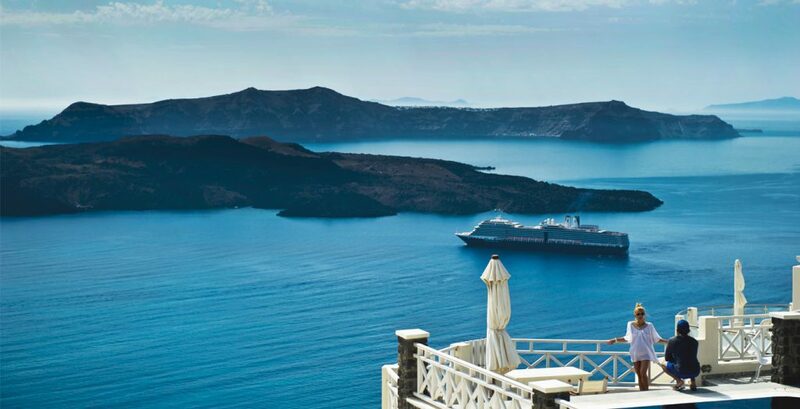 The island of Santorini offers some very special accommodations with amazing views of the islands famous Caldera. 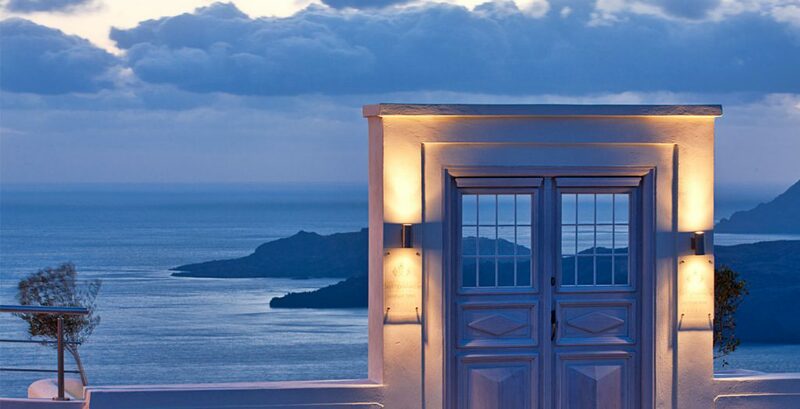 The capital of the island Fira was once the top choice but now many visitors prefer the the Village of Oia with its picture perfect location, or maybe the quieter area of Akrotiri where some of the best views of the Caldera can be found. 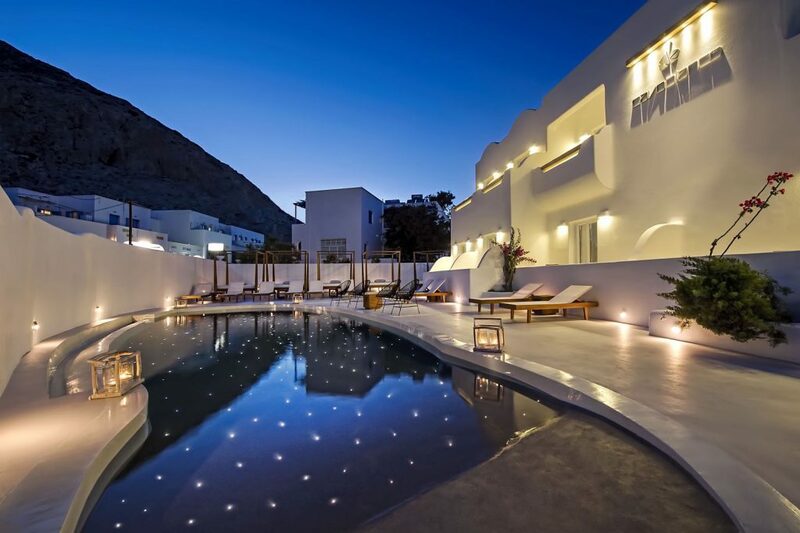 Also the areas of Imerovigli and Firostefani are very popular, a little quieter than the bustling Fira but within walking distance of all that the capital has to offer. 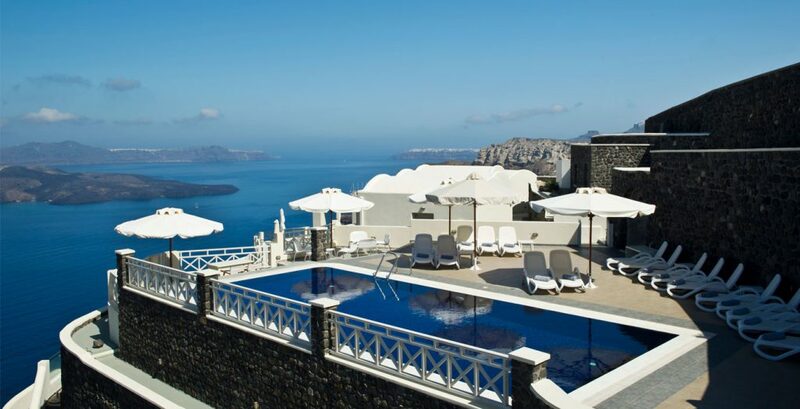 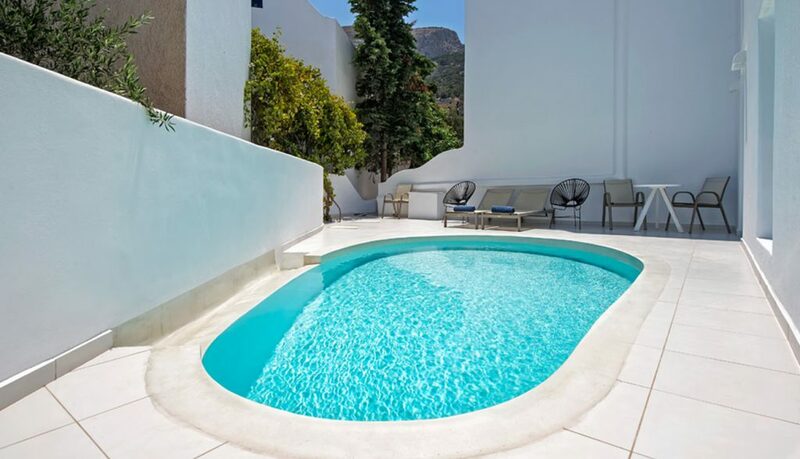 This luxury boutique hotel offers wonderful views of the Caldera from many of its rooms and from the hotel’s stylish pool terrace The hotel features 23 luxury suites and villas all furnished to a very high standard, lovely pool area, gourmet restaurant and a prime location being just 10 minutes walk to the center of Fira. 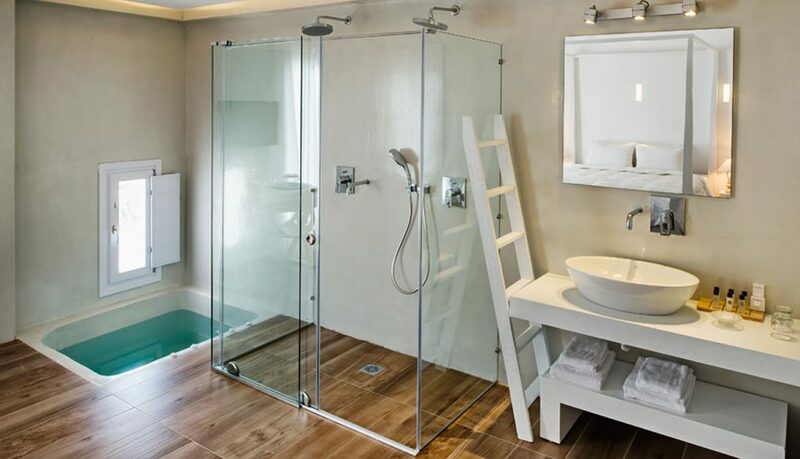 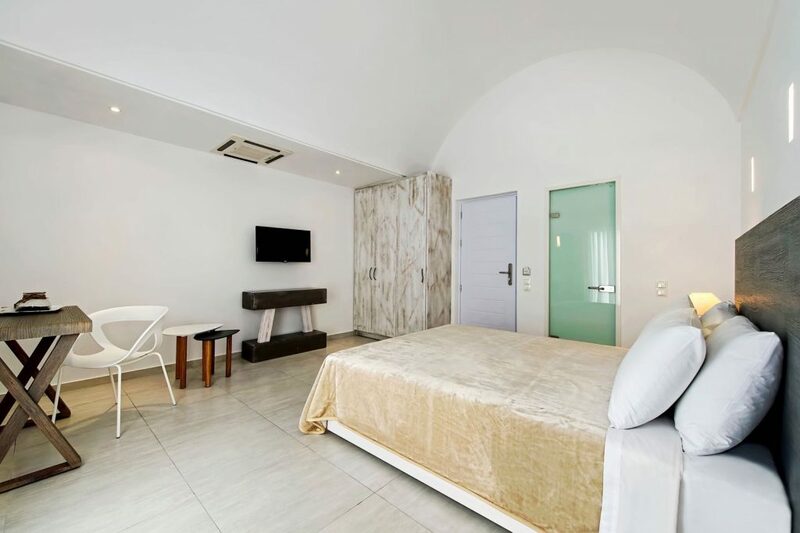 This hotel will appeal to groups of friends traveling together or would make a perfect choice for a romantic hideaway. For many the best place to be is near the beach and if your looking for a beach location in Santorini then Kamari, Perissa or Perivolos are the best options. 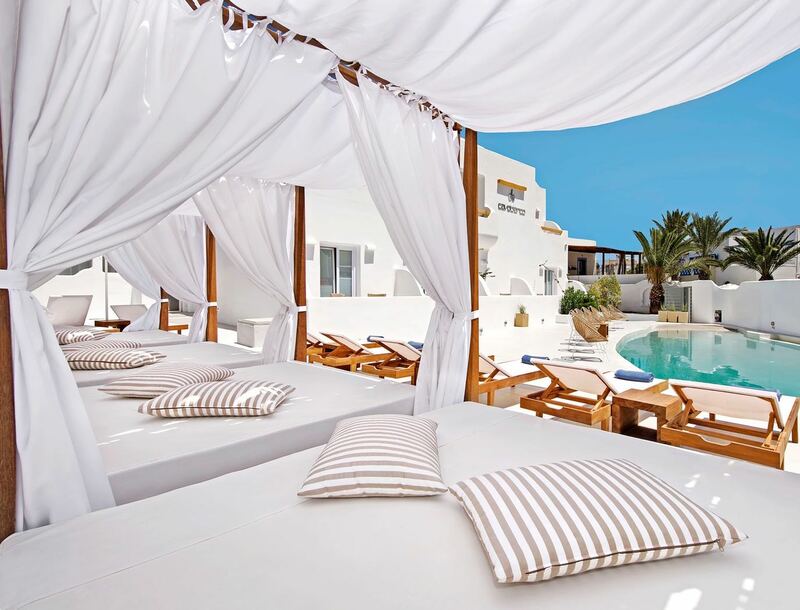 Kamari is a bit more compacted with a vast choice of restaurants, shops, cafes, mini markets and very good beach facilities. 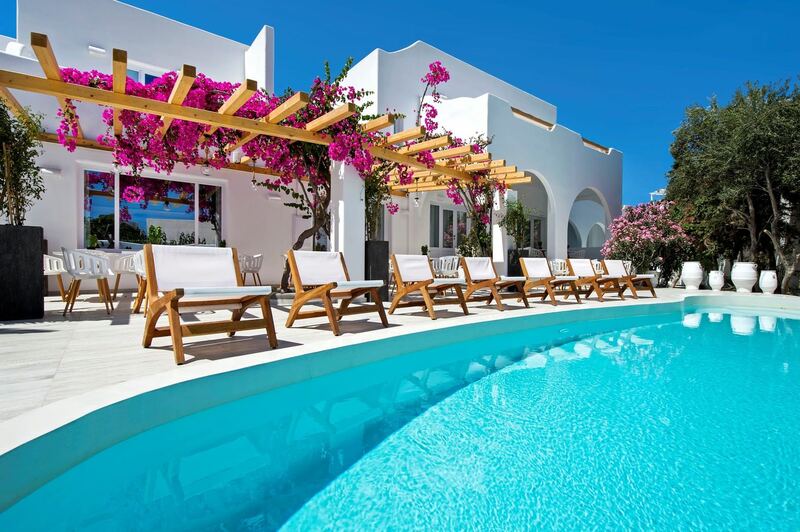 The resorts of Perissa and Perivolos are more spread out but again offer all tourist facilities. The areas of Perissa and Perivolos have become popular with younger guests, therefore it has a nice collection of beach bars, lounge beach clubs and very good water sports options. 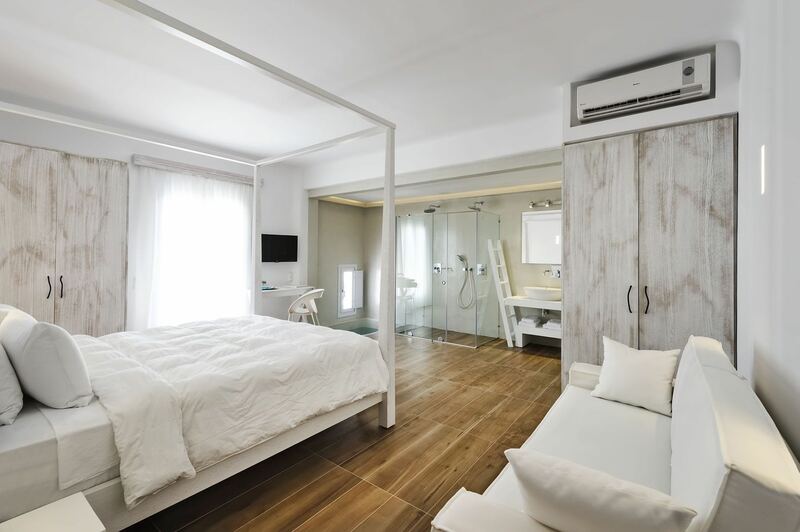 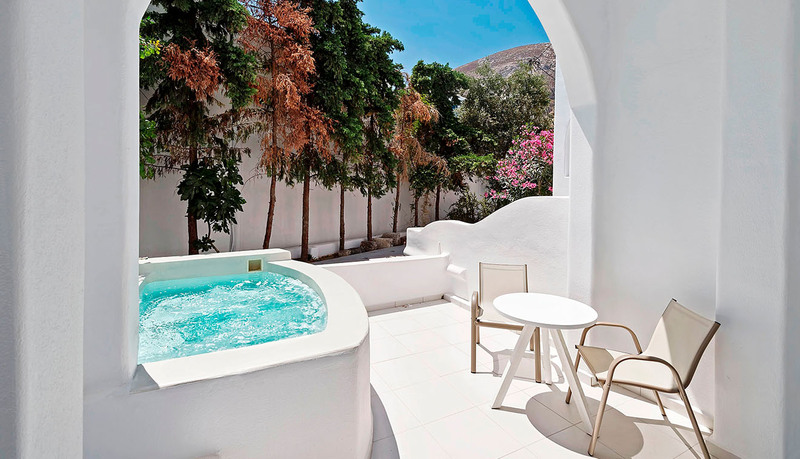 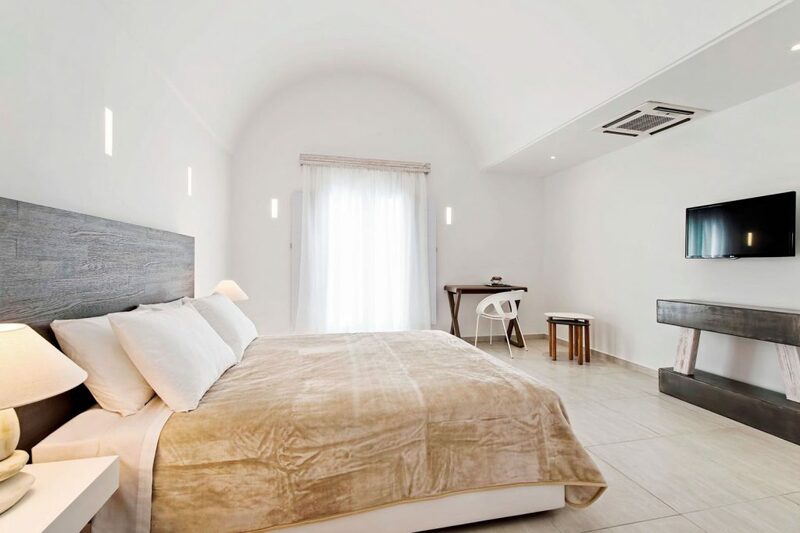 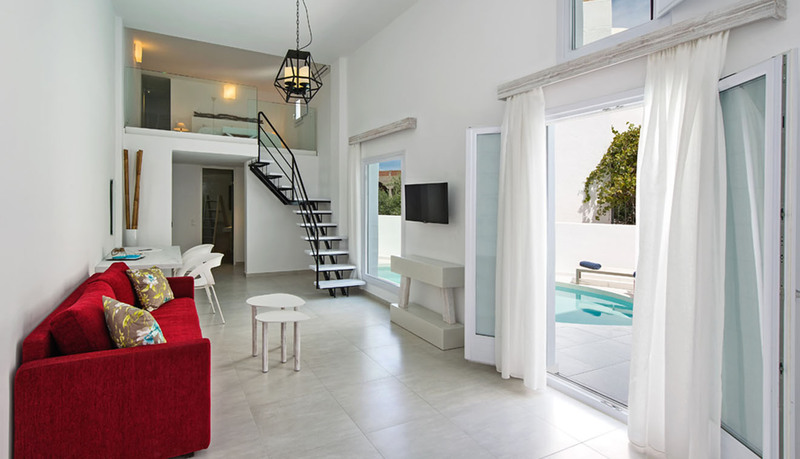 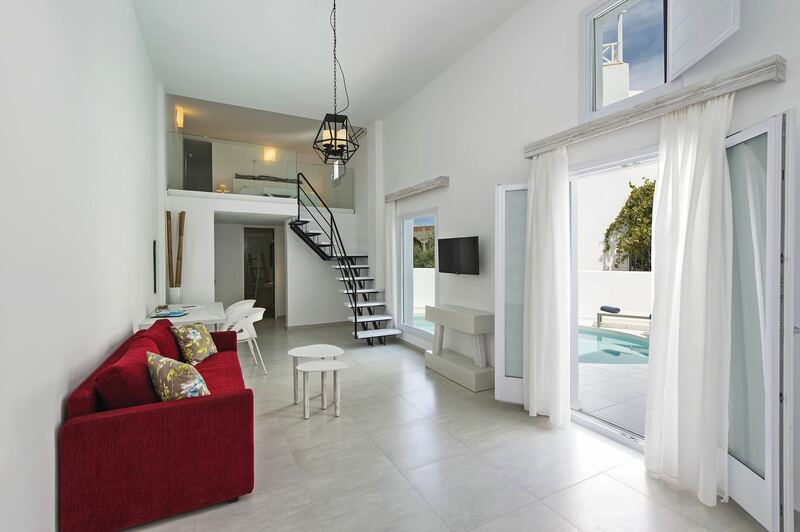 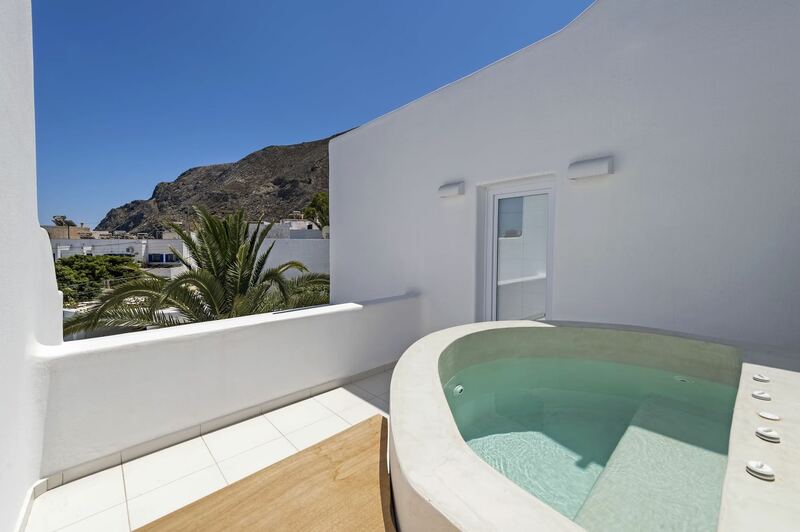 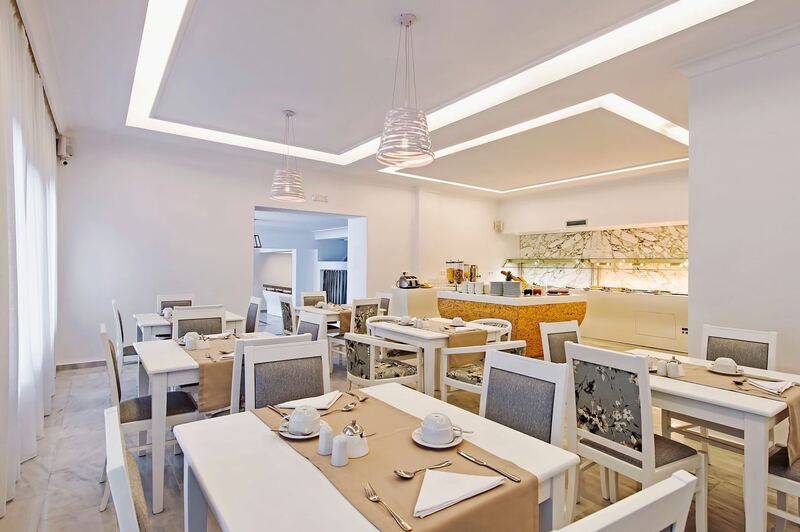 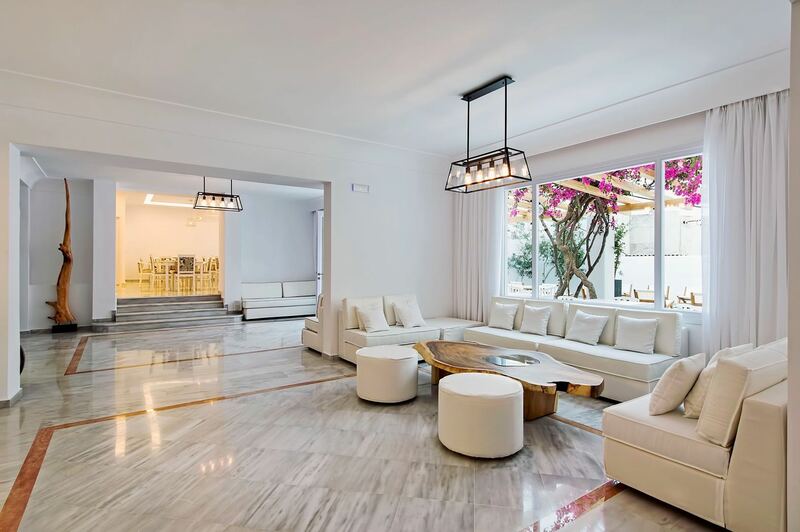 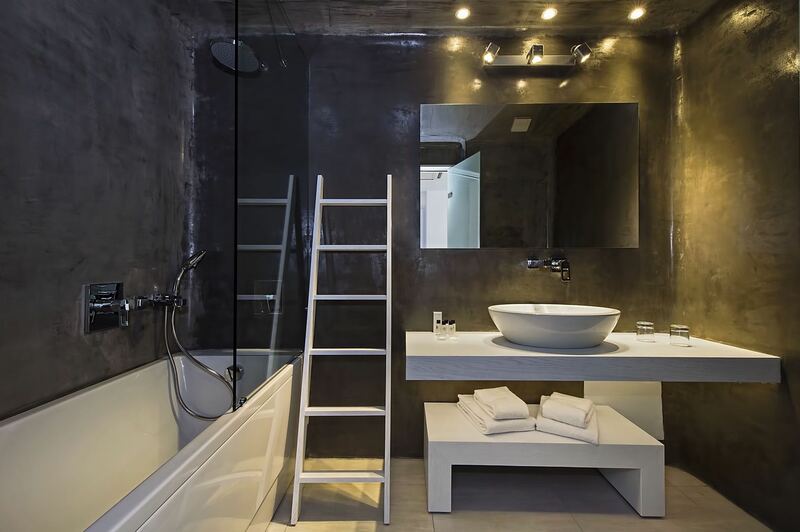 Cavo Bianco is a new 5-star boutique hotel located in the center of Kamari being just 5 minutes walk from the best area of resorts black sand and close to all the resorts amenities. 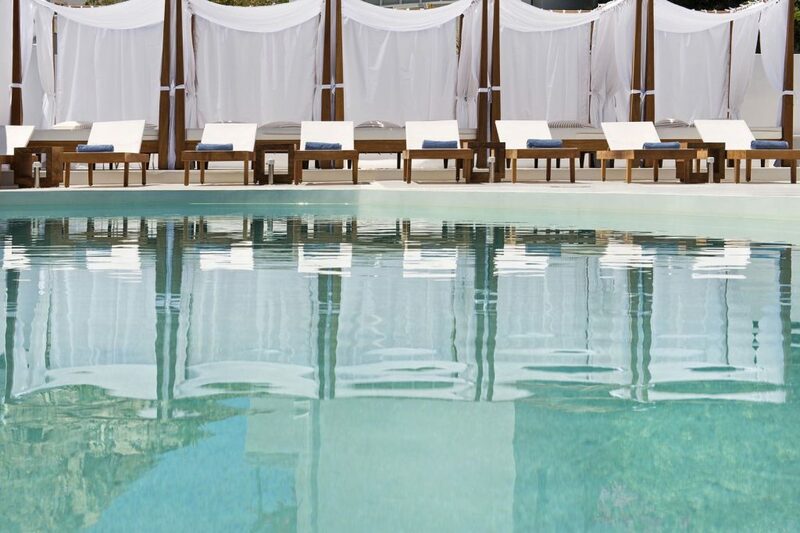 Beautifully designed hotel with luxury rooms, delightful pool area, and Wellness Spa within the hotel.